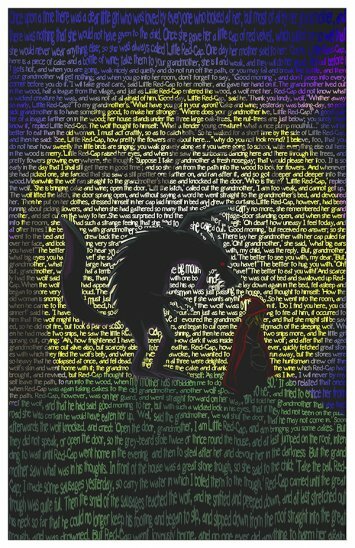 This print is made using words! 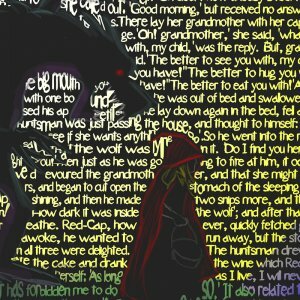 This image features Red Riding Hood, stalked by the Wolf. 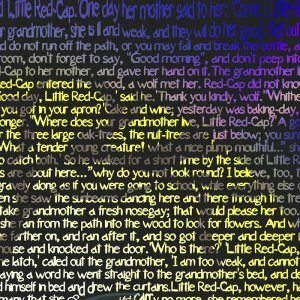 It is formed with the entire text of the original Grimm Brothers fairy tale.